Something that is common is rumors that keep rising about movement of players between clubs which often turn out to be true or not. The latest rumor doing the rounds is Dan Biggar of making for a move to this Aviva Premiership league club. This Wales pivot player might be targeted or the news might not have any base. 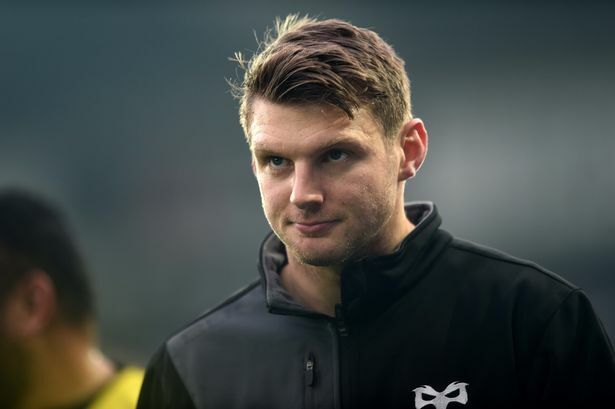 As per information from Ospreys, they insist that there has been no contact from Northampton Saints to propose a move for the fly half player Dan Biggar. The region and WRU ruled out possibilities of any move for Wales No 10 from the beginning of the season of Six Nations. However the Aviva Premiership club might be considering him to replace JJ Hanrahan. Hence, there was a recent rumor that a deal has been formed and Biggar would be heading out to be part of the Saints team at Franklin’s Gardens when his contract expires in the year 2018. The ospreys managing director has branded this as fake news. He stated that there was a tweet where it was mentioned that Dan is signing up for the team, but this has not been brought to the attention of the team not has Northampton made any such announcement. The contract also has to be vetted by the WRU and Ospreys insists that Northampton has not approached them yet. There is some complication in Biggar’s contracts. That is because his contract is of the NDC category. This means that his contract is decided by the Welsh Rugby Union. They pick up sixty percent of the wages he earns and Ospreys picks up the remaining. It remains to be seen if there is any base to the rumors that have been going round. Even if the transfer does take place, how it is done remains to be seen.